Did you delete some of your moments online? Instagram is the most popular photo sharing social app to store interesting pictures. Although, you can create Instagram stories using those special photos. If you need to see any of these anytime you can find and see this. But, what if you have deleted that one? This is now time for you to think about the past. What have you done with it! Sent to Archive? or Deleted permanently? Well, no issue at all. You can restore those easily anytime you wish to. In this article, we are sharing such working ways to see deleted Instagram pictures. You can see the deleted videos as well by using the Toolkit mentioned here. No matter how old the Instagram pictures were, you can restore those deleted images easily and put it back to its previous location. If you want to see the deleted Instagram photos, you can use this method. First, open the photos app in your phone. Then choose the album “Instagram”. You can find your picture here and you can re-upload it. 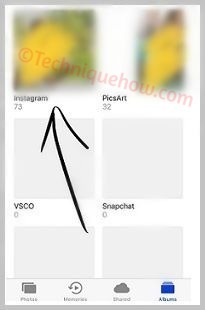 If you do not find the picture you were looking for in the Instagram album, then the next place to search for it is the “Recently deleted” album. There, whatever photos you have deleted will be stored in that album. You will find your photo over here for sure. Beware, the photos over here will be in the recently deleted album for 30 days. So, once you find your picture, On the right side, you’ll come across an option called as “Recover”. Press it and your photo will re-appear wherever it was stored before. 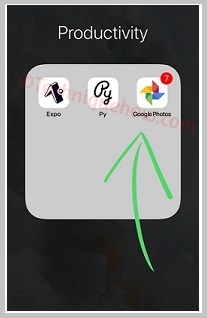 Many iPhone users and all the Android smartphone users use Google Photos to back up and store their photos. So if you use Google Photos for backing up your photos, you can definitely find them over there. Go to the Google Photos app. Check all the folders in the Google photos. You may find them in any one of the folders. 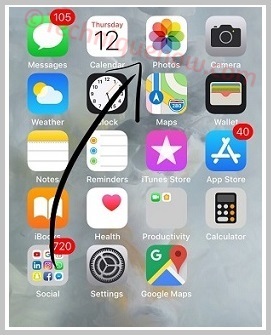 All you need to do is to save that picture back into your phone. Now, after you have found your picture, just re-upload it on Instagram. If you haven’t found your picture yet, do not be disappointed. We another method for you to try your luck. Well, if you haven’t found your photo anywhere, maybe this method can help. This method is known as the data recovery option. This is a safe method to use. 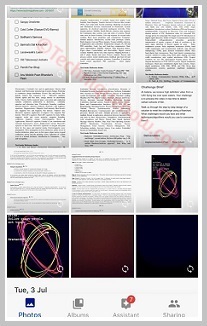 There is a software called as FoneDog Toolkit for iOS - iOS Data Recovery. You can download this Recovery ToolKit for both Windows and iOS, then just install and get started. Step #1: Connect your iOS device to your PC using the USB cable. Step #2: Run FoneDog Software in your PC and allow it to take a scan of your phone. Step #3: Once the scan ends, you can select photos from the options which appear on the screen. Step #4: Chose the Instagram folder and find your photo there. Step #5: If you have found your picture, then recover it. Try using the first two methods if you don't want using any tools. That will be the best and fast way to see the deleted one from your Instagram account. Also, if you have archived the image, you can get it from IG Archive folder. If nothing works, better to try the Toolkit for the final option.